M.Phil. B.E /B.Tech Ph.D M.E /M.Tech. M.Sc. B.Com B.Sc. B.A. B.B.A Dual Degree M.B.A B.C.A. M.A. 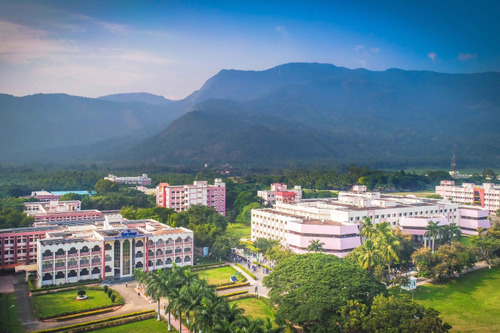 This College is accredited by NAAC B (National Assessment and Accreditation Council) validity is 24 May 2021 and the score is 2.91 . Disclaimer: Placements showed above are cumulative of all the UG and PG courses in a stream as on years 2017, 2018 respectively. I am pursuing B.tech. 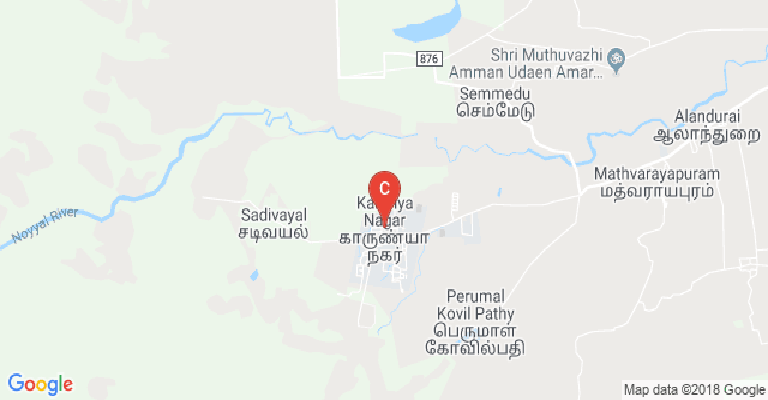 Telling about my College, so as everyone knows that Karunya has a high-class international reputation. Karunya provides you with a whole packed exposure. It prepares you for all sort of practical learning from foreign language to your personal development. It starts preparing you for your interviews, jobs, internship, etc right from 1st semester. They provide you world-class library facilities, wifi, they have CCDs, Gym and much more. Whatever hobby you have Karunya have a place for it. Come to Karunya and you will feel a change in you. Come proud yourself by being "the KARUNYAN"
The day I joined this college, I had a lot of fear of surviving in this university. But then later I felt good having a charming environment by my faculties and mates. It explores a lot of cultural habitat and mixed knowledge, I really had a nice exposure of technology and core improvement I would ensure a vast change in my life since i joined this college. Laboratories were equipped with newly upcoming technology and the behavior of the staffs are pleasant by their nature. We had Corporate related class to enhance our experience in the perspective of the interview. They train us through well trained and experienced faculties for verbal, aptitude and personal development skill. so that we go through the interviewing process easily and they even train us through mock interviews. We even have a variety of food in our mess cooked with love and care. On the whole we enjoyed the college life with value based education and technology. My life at Karunya will be an unforgettable memory through-tout my lifetime. 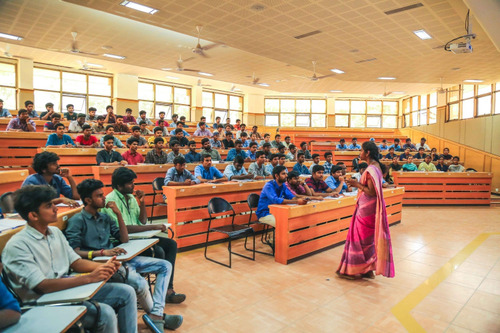 This college is all about focusing more on religious beliefs and life rather than academics and placements.With medium infrastructure and knowledge providing by faculties. With good infrastructure and average hostel facilities, u want to be an average engineer u can choose this place or better option. Awesome time in hostel with friends. Facility's are really good. College life is not so boring. Faculty teaches well.if u really a religious guy then its a good platform. Other wise u will feel liltle unfortable. Rules are really strict. We have to follow n work according to rules. Casuals are aloud. And we have to attend complusary morning assembly. College starts at morning 8:30am till evening. Life is awesome. Surrounded by a awesome and peacefull scenory. 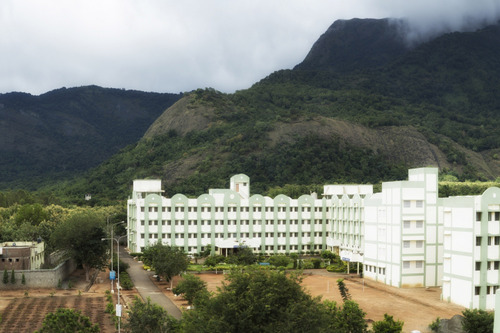 This college lies between western ghats. Freinds are helpfull. Faculty help in every projects. They will motivate you. And help in every aspect. Sports facuilty are also there. You can choose any sports. And we can build are strenght and name in any sport. Is Karunya university is good? Whether the admissions in Karunya University(for CSE)is solemnly based on the individual's KEE rank or do 12th cutoff is also necessary ? Hlo sir,I interested in additive manufacturing (M.tech) is there any entrance exam for it to join..? 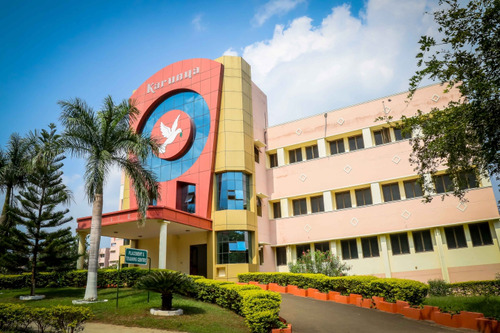 Karunya University Announces M.Tech 2016 Application Form! 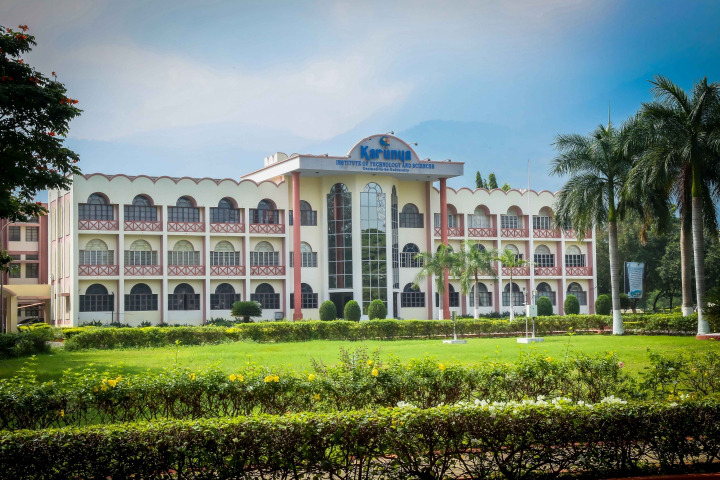 This College is accredited by NAAC (National Assessment and Accreditation Council) B validity is 24 May 2021 and the score is 2.91 . Boys Hostel :The University has 15 separate residences to comfortably accommodate over 8000 students in cozy single, double & four bedded rooms. 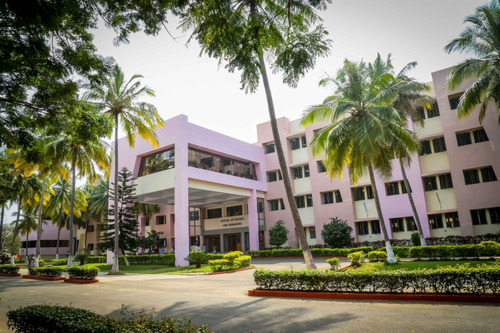 The hostel administration is carried out by Chief Warden, Joint Chief Wardens, Wardens, Senior Residence Advisors (SRAs) and other faculty and staff. The students can avail tutor facilities at the residences. Counselors & team members from students care and support (SCS) regularly visit the student's residences for counseling services. Gents Residences - Father Duraisamy Residence, Edward George Residence, Angelina Residence, Hephzibah Residence, Jerry Manuel Residence, SG Bobraj Residence, Johnson Victor Residence & Bethany Residence. Girls Hostel :The University has 15 separate residences to comfortably accommodate over 8000 students in cozy single, double & four bedded rooms. The hostel administration is carried out by Chief Warden, Joint Chief Wardens, Wardens, Senior Residence Advisors (SRAs) and other faculty and staff. The students can avail tutor facilities at the residences. Counselors & team members from students care and support (SCS) regularly visit the student's residences for counseling services. Ladies Residences Sundararaj Residence, Sundararaj Residence Extension, PR Garg Residence, Sevugapandian Residence, Oprah Residence, Evangeline Residence & Dhakshinamoorthy Residence. 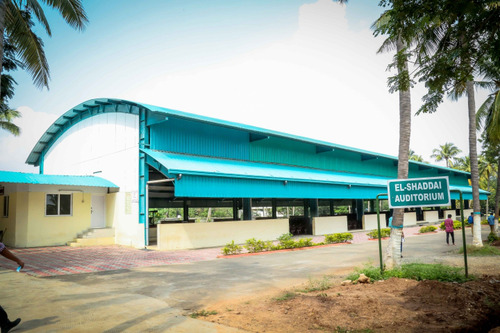 Medical/Hospital :Healthcare facilities are available round the clock at Karunya - SEESHA Rural Community Hospital. The hospital has observation rooms for male and female patients separately to give proper treatment. The hospital has full time doctors, nurses, physiotherapists, dentists and counselors to serve the students better. Gym :The college has Gym facility for the students. Library :The Central Library, is one of the central support services of Institutions. 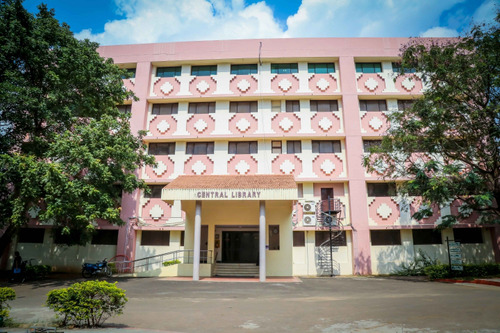 The Central library is well equipped with modern facilities and resources in the form of CD-ROM, On-line databases, e-journals, e-books, audio video cassettes, books, journals, project reports etc. Links from the home page will direct you to information on library policies, hours, collections and services. The mission of the Central library is to provide information services and access to bibliographical and full text digital and printed resources to support the scholarly and informational needs of the university user community. I.T Infrastructure :Internet, computer center and other IT related facility available on the college campus. Alumni Associations :We recognize that our graduates are our finest ambassadors and we are proud to count captains of industry, senior scientists and successful sports people among their number.The Karunya Institute of Technology and Sciences ALUMNI ASSOCIATION (KAA) links graduates and their alma mater. Membership of KAA is free and automatic for all graduates and enables them to maintain a life-long relationship with KARUNYA. Graduates also benefit from a wide range of services including class reunions, alumni newsletter, souvenir gift items, alumni ID cards and access to a variety of alumni chapters around the world. Wifi :24/7 Wifi Internet Connectivity available. 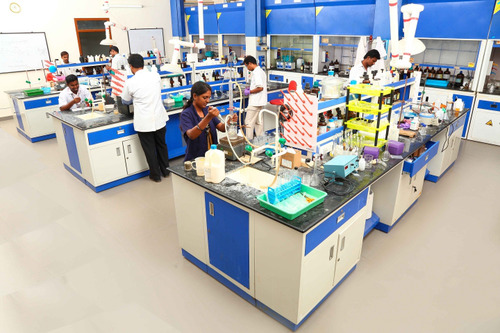 Laboratories :Separate Laboratories facility available for every department on the college campus. 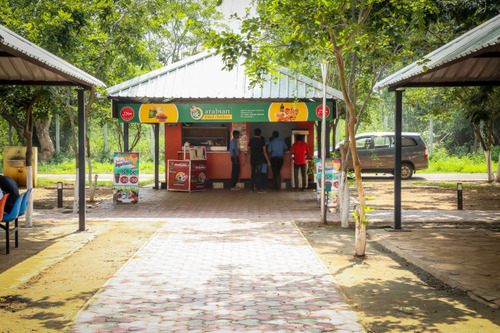 Banks/ATMs :Syndicate Bank, Tamilnadu Mercantile Bank, State Bank of India and Axis Bank offer ATM facilities in the campus. 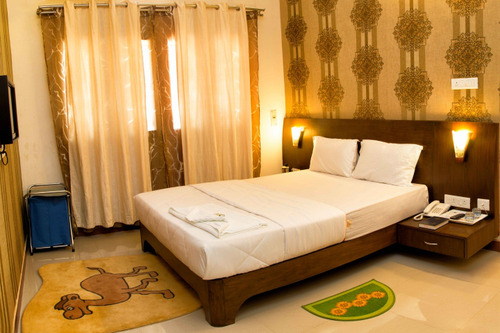 Guest Room/Waiting Room :Every care is taken to provide all comforts to visiting parents. A fully furnished guesthouse with A/C and non-A/C rooms is available at the campus to meet the needs of the people from different sections of the society.